Customs officers are entrusted with the important task of keeping our borders safe from undesirable people and potentially harmful or illegal substances and goods. The Department of Customs and Border Protection prides itself on the professionalism of its staff, and customs officers are required to demonstrate a “strong sense of personal ethics and honesty” in carrying out their duties. But can we really trust customs officers to do their job properly? It recently emerged that a Sydney Customs Officer breached numerous professional standards after he was caught using cocaine just four days after taking part in a successful drug bust which saw Customs and the Federal Police seize 464 kilograms of cocaine from a Brisbane yacht. 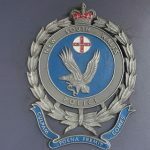 It was only by coincidence that plain-clothes police observed the customs officer snorting lines of cocaine outside a nightclub in southern Sydney a few days later. He was charged with drug possession as a result of the incident and pleaded guilty in court, but avoided a criminal record. He was also forced to resign from his position. 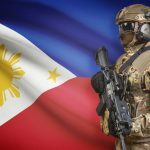 While the AFP has stated that “the officer has had no access to the drugs seized by the AFP during this operation,” many have suggested that the case raises concerns about the integrity of customs and AFP officers. In particular, Customs has been criticised for failing to inform the public about the incident and for ‘hiding details’ about the officer following his offending. Federal Police have also faced criticism after it was revealed that they made a series of mistakes when investigating the importation of the cocaine itself. An initial trial in the Queensland Supreme Court had to be abandoned after the AFP told the court that certain video footage of the seizure did not exist; but incredibly, the footage was later found to have been published on the AFP website. Documents have also revealed that the AFP failed to search a bag located on the back seat of a car which was used to transport drugs from the marina. The car was then left unattended in an AFP car park for several days before it was finally searched and found to contain 25 kilograms of cocaine. But while such failings are serious, they are certainly not isolated, and a series of recent incidents have thrust cases of corruption and collusion by Customs officers and members of the AFP into the media spotlight. 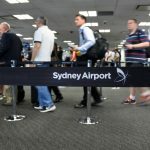 In mid-2013, the Australian Commission for Law Enforcement Integrity released its report about allegations of collusion between customs officers working at Sydney Airport. The report details a complex networking strategy used by the officers in order to avoid detection by airport security, enabling them to import steroids and pseudoephedrine in exchange for bribes. Pseudoephedrine is a key ingredient used in the production of ecstasy (MDMA). Four officers were charged with various criminal offences including bribery, conspiracy, drug importation and abuse of office after their involvement in the scheme was revealed. 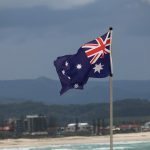 Following the release of the Commission’s report, Michael Pezzullo, the former Chief Operating Officer of Australian Customs and Border Protection, vowed to crack down on corruption within the service, introducing drug and alcohol testing and mandatory reporting of corruption. Pezzullo was also responsible for establishing a new taskforce in late 2013 whose role it was to use data analysis techniques to identify links between Customs officers and criminal activity. However, Pezzullo found himself in hot water after a 2014 investigation named his own brother, customs officer Fabio Pezzullo, as one member of a corrupt ring of airport officials. 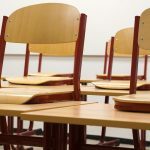 It was alleged that Fabio Pezzullo sold prescription medication to his fellow colleagues and lied to the Australian Commission for Law Enforcement Integrity during an investigation into corruption within Customs. 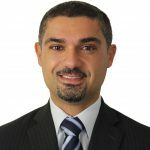 Michael Pezzullo was criticised for failing to disclose allegations concerning his brother when he discussed the corruption scandal at a Senate committee in May 2014. Several Senators lashed out at Pezzullo, saying that he should have disclosed the allegations in order to avoid any perceived conflicts of interest. Despite the controversy surrounding his brother’s actions, in October 2014 the Prime Minister appointed Michael Pezzullo to the position of Secretary of the Australian Department of Immigration and Border Protection. And while the reforms implemented by Michael Pezzullo during his time as Chief Operating Officer have been instrumental in weeding out several corrupt officers, the sheer number of officers who have been identified as having links to criminal activity is a disturbing indication of the issues faced by the service.